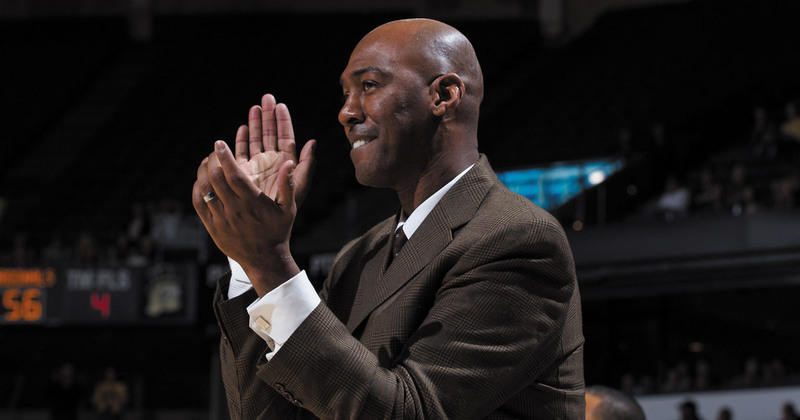 Anyone following Wake Forest Basketball since the arrival of Coach Danny Manning three seasons ago knows the pieces are coming together nicely for the reemergence of Demon Deacon Basketball to its glory days. Coach Manning came in with a championship philosophy—to rebuild a program, not simply enjoy a winning season. That approach is not without its challenges. 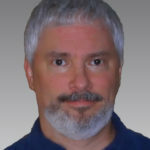 For instance, it takes patience, along with transitioning by a new coaching staff, building a strong, confident relationship with the players, and developing a solid reputation with the fans. Coming off last year’s winning record (19-14 overall, 9-9 in the conference), their first NCAA Tournament Appearance since 2010, and entering his fourth season, Coach Manning and his staff are prominently taking the program in a winning direction again. A high level of enthusiasm is in full supply for Demon Deacon Fans, as this season’s home schedule includes all but four teams that made post-season tournament appearances last season. An exciting opportunity for fans to purchase their season tickets and catch all the thrills at The Joel this season is available right now. You’ll definitely want to be a part of, and revel in watching the best college basketball conference in the country. After all, Wake Forest IS the Triad’s ACC Team! This season’s home schedule begins on Friday night, November 10th, with Georgia Southern University. The Eagles return all five starters, including two of the top five scorers in the Sun Belt Conference, and advanced to the College Basketball Invitational Postseason Tournament last season. On November 14th, Wake Forest hosts Liberty University. The Flames’ top-3 scorers return from a team that finished 3rd in the Big South Conference last season, achieving their first 20-win season since 2009, and advancing to the CollegeInsider.com Postseason Tournament (CIT). The UNCG Spartans take the short ride from Greensboro to Winston-Salem on November 24th. Former Tarheel player and current Head Coach Wes Miller’s team was Regular Season Champions and made their third appearance in the Southern Conference Championship game last season, after a nine-game winning streak, their longest in program history since joining Division 1. The Fighting Illini of the University of Illinois, out of the Big Ten, venture into Joel Coliseum on November 28th, coming off a 20-15 (overall) season, where they advanced to the quarterfinals of the National Invitation Tournament (NIT). The month of December brings in the Richmond Spiders on December 2nd. The Spiders made the semi-finals of the Atlantic 10 Tournament last season, along with advancing to the quarterfinals of the National Invitation Tournament (NIT). On December 8th, it’s the Black Knights of Army, one of only four teams (William & Mary, Citadel, and St. Francis [NY]) in Division 1 history never to have made the NCAA Tournament. They have, however, made the NIT eight times and the CIT in 2016. Then, on December 23rd, Wake welcomes the Tennessee Volunteers. Led by former ACC (Clemson) coach Rick Barnes, the “Vols” are coming off a 16-16 season and reached the second round of the SEC Tournament last year. On December 30th, Wake Forest opens the ACC Schedule at Chapel Hill. Then, on January 3rd, Wake starts the New Year at home against the Syracuse Orangemen, led by Hall of Fame Coach Jim Boeheim, in his 42nd year. The “Cuse” lost in the second round of the ACC Tournament last season and were the Number-1 seed in the National Invitation Tournament, after just missing the NCAA Tournament. On January 10th, it’s the Hokies of Virginia Tech, who finished tied for seventh in the ACC and reached the NCAA Tournament, losing in the first round. Then, on January 21st, Wake entertains the Cavaliers of Virginia, led by Tony Bennett. The “Cavs” finished tied for fifth in the ACC and advanced to the quarterfinals of the ACC Tournament and the second round of the NCAA Tournament. Two nights later on January 23rd, Wake hosts Duke. The Blue Devils became the first team in ACC history last season to win four games in four days to take the ACC Tournament Championship. They lost in the second round of the NCAAs. Wake ends their January home slate on the 31st against Florida State. Last season the “Noles” had their best start in school history, winning 15 of their first 16 games and were undefeated at home. They finished tied for second in the ACC and lost in the second round of the NCAAs. February begins with the Clemson Tigers on February 3rd. They finished 17-16 overall last season and earned a berth in the NIT. On Valentine’s Day, February 14th, Wake fans can show their love when the Deacons host Georgia Tech. The Yellow Jackets finished last season 21-16 and advanced to the Championship game of the NIT, before losing to TCU. On February 17th, the Wolfpack of NC State enters Joel Coliseum. The “Pack” will be led by first-year coach Kevin Keatts, previously Head Coach at UNC-Wilmington, before taking over for Mark Gottfried, who was replaced after last season. Finally, the Deacons finish out their home schedule against the Fighting Irish of Notre Dame on February 24th. Last season the Irish finished tied for second in the ACC, lost in the Championship game of the ACC Tournament and the second round of the NCAAs. Fans should note there will be a number of promotional days this season. These include Church Night and Military Appreciation Night, plus several new halftime promotions, including the balancing act of Christian and Scooby, a performance by members of “PurrCussion” and the debut of the “Diaper Derby” baby-crawling contest. For inquiries about any of these promotional days, please call Wake Forest Athletics at (888) 758-DEAC (3322), extension 1. To celebrate their loyal fans, Wake Forest Basketball is offering a variety of Season Ticket Packages, including the very popular Value Plan at just $120 for one; or the Value Bundle, including four season tickets for $320, while supplies last. Many other attractive ticket options are available as well; for more information visit the Wake Forest Athletics’ website at wakeforestsports.com/tickets or by calling 1-888-758-DEAC (3322). Tickets for select contests can also be purchased in person at the Bridger Ticket Office located at BB&T Field. Purchase your season tickets and come early to join in on all the action and excitement that is Wake Forest basketball. Previous ArticleKids in the Kitchen: Good Morning, Pumpkin!